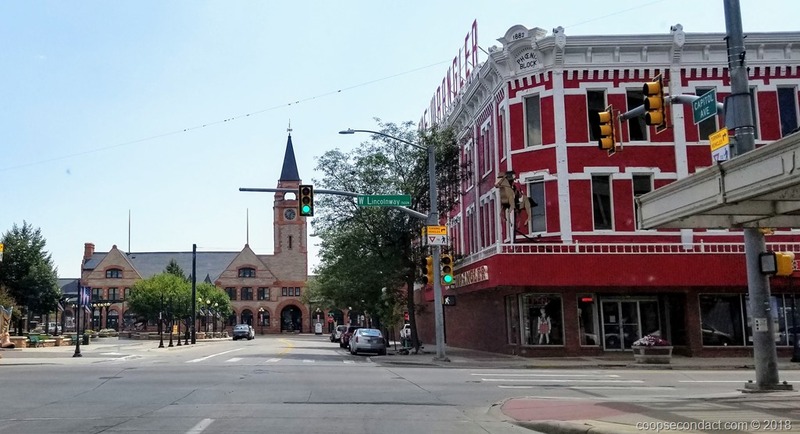 We chose to spend the Labor Day holiday period in Cheyenne, WY, the capital city for Wyoming. In Cheyenne, we were parked at A.B. Camping. The location that became Cheyenne, was originally the site chosen as the point at which the Union Pacific Railroad would cross Crow Creek, a tributary of the South Platte River. Once the railroad was completed, Cheyenne grew rapidly. Today, Cheyenne is still a very important rail hub. In Holliday Park you can see one of the eight surviving world’s largest steam locomotives, nicknamed “Big Boy”. From Rapid City, we headed south, reentered Wyoming and stopped off in Lusk. This was mostly just a rest and relaxation stop after many days of sightseeing activity. In Lusk we parked at BJ’s Campground. The town of Lusk was on the route taken by the Cheyenne-Black Hills Stage Line which ran between Deadwood, SD, and Cheyenne, WY, via this 300 mile trail from 1875 until 1888 when the railroad took over. When gold was discovered in the Black Hills in 1874, the stage line connected the Union Pacific Railroad in Cheyenne with the gold mining region of the Black Hills. 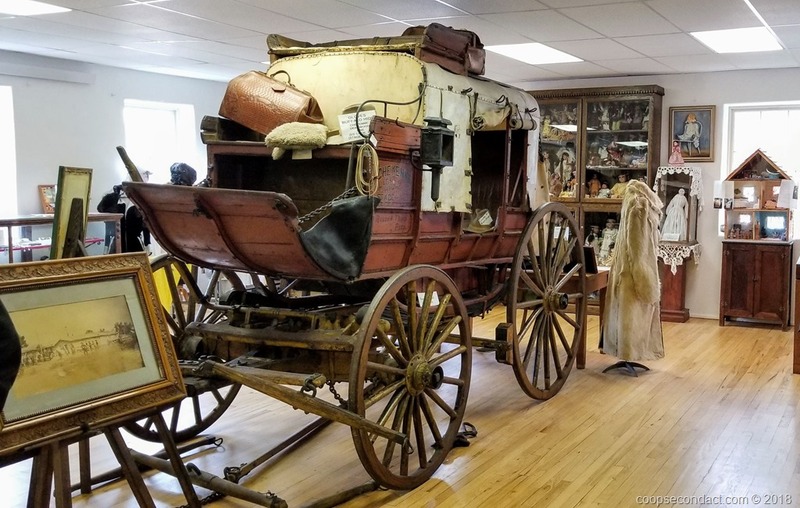 Lusk has preserved one of the coaches used on this stage line and it can be seen, along with a substantial amount of memorabilia from Lusk’s history in the Stagecoach Museum. The coach was built by the Abbott-Dunning Company of Concord, NH, in 1863. Along with others, it was shipped around Cape Horn to San Francisco. It was used for a few years in the gold fields of Nevada before being brought to eastern Wyoming to the Cheyenne-Black Hills Stage Line. Our visit to Pleasanton was to allow us to see friends and family and some places of interest in the San Francisco Bay area. Unfortunately, we didn’t get to visit all of the places we had intended since Kevin was under the weather with a cold for the first 2 or 3 days. While in Pleasanton, we parked at the Alameda County Fairgrounds. We spent a month in San Diego parked at the Mission Bay RV Resort on, surprisingly, Mission Bay. 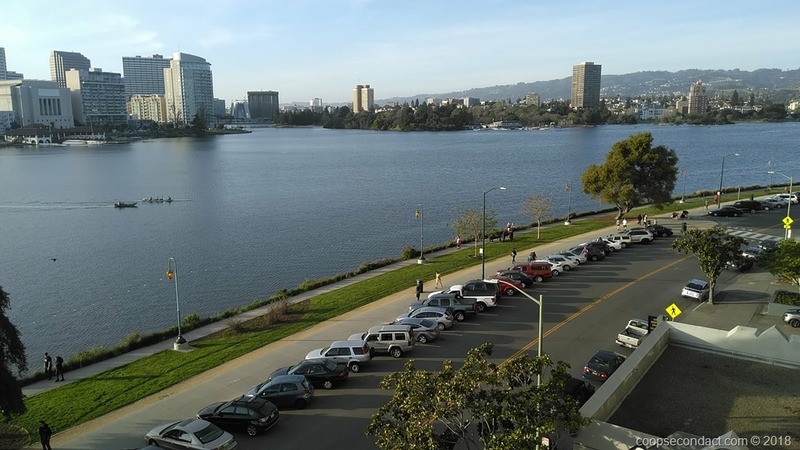 It is a beautiful location surrounded by the Mission Bay Park and the bay itself. There is a nice hiking/biking path that runs for miles in both directions. 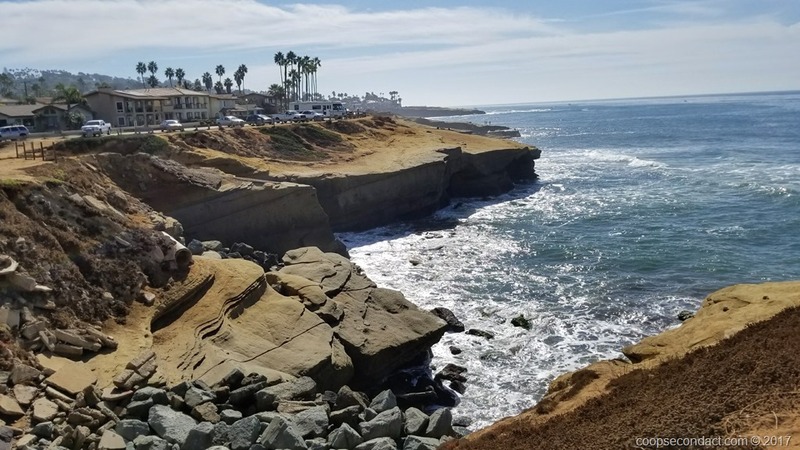 It is also located 5 minutes from downtown San Diego, Old Town San Diego, Little Italy, the Embarcadero, etc.